People planning to build a new house often choose the roof color for aesthetic appeal. Little do they know that their choice will also affect the overall temperature inside their property as well as their energy consumption. Here at Trend Construction Inc., our roofing services use materials such as asphalt-shingle, wood or cedar, metal, and slate, all in different shades. Even the tile roofing that usually just comes in red is available in a wide range of elegant colors. Similar to how people choose their clothes for different seasons, roof color has the same effect on the temperature. A dark roof helps absorb heat, making the house warmer. 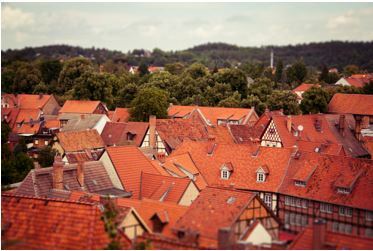 In contrast, light-colored roofs help reflect sunrays away to lessen the heat. Temperature directly affects home energy consumption. The right roof color helps maintain the right temperature inside the home, reducing the need to turn on the air-conditioner and letting home owners cut a decent amount off of their electric bills.This can save them 7% to 15% of their cooling costs. The type of roofing material is also important during the winter season, especially with the kind of weather Minnesota has.It will actually help to have dark-colored roofs, as these trap even that little amount of heat the sun can give during the colder season. It is difficult to determine if dark shades are actually better than light ones. Some people prefer to keep the temperature inside their houses warm, while others want to keep it cool. Seasonal changes affect indoor temperature, and this is where roof colors can make a difference. Pick your roof color wisely, as it does not just make you visually satisfied when you see it, but also makes you feel comfortable inside. For professional roofing services, you can visit our website and give us a call. There are currently no comments for Roof Colors Affect the Temperature Inside Your Home.